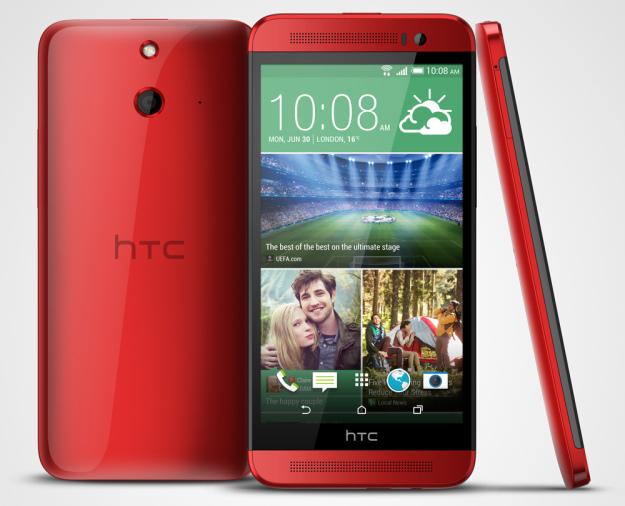 As expected, HTC has just launched the One E8 along with the Desire 616 in India at an event in New Delhi. The One E8 was launched in select countries last month and today, it has finally made its way to Indian shores. The One E8 features specs similar to the One M8 but in a plastic body. It has been selling quite well in countries where it was launched, so it’ll be interesting to see how it manages to do in India. HTC One E8 has been known as the plastic One M8 but with the price difference, we’re surely not complaining. The design is similar to the One M8 flagship. It features a 5-inch Full HD (1920x1080p) display and it’s powered by the same Quad-core Snapdragon 801 processor that powers the One M8, Galaxy S5 and the LG G3. There’s 2 GB RAM, 8 GB of internal storage with microSD expansion up to 128 GB. While most of the specs remain the same as the One M8 flagship, there’s one major difference and that’s in the camera department. Gone is the UltraPixel camera, there’s a 13 MP rear camera with a BSI sensor, f/2.2 aperture and a single-LED flash. On the front, it features the same 5 MP camera from the One M8 we so loved. On the connectivity front, there’s dual SIM connectivity with one of the SIM slots supporting 4G LTE. The device comes with Sense 6.0 on top of Android 4.4.2 KitKat. A 2600 mAh battery runs the show. The One E8 will be available in India by the end of July and it’s priced at Rs. 34,990. The device will be available in Black, Red and White.